Since 2011 when Jeff Golub unexpectedly lost his vision, an army of medical professionals have been unable to diagnose the underlying cause. However, a few weeks ago, Jeff did receive a definitively diagnosis from the National Institute of Health: Progressive Supranuclear Palsy or “PSP.” It is the same rare disease that actor Dudley Moore battled until his passing in 2002. Unfortunately, a cure has not been discovered for this debilitating disease. The neurological symptoms of which have invaded Jeff’s life and livelihood and ended the beloved guitarist’s multi-decade musical career. Just one year ago we announced that Jeff had taken a break from performing because of his health issues. At that time, it was apparent that he was suffering from more than just sudden blindness, but doctors were unable to pinpoint the cause or the probable outcome. Some suggested he was just having a tough time acclimating to his loss of vision. However, those who knew him best knew that something fundamental was changing, even though his doctors struggled to arrive at a clear prognosis. After a year of rapid physical deterioration and innumerable doctor appointments, we finally have a diagnosis. Unfortunately, the news is not good. Two weeks ago, Jeff went to the National Institute of Health, in Bethesda, MD to participate in their Undiagnosed Disease Program. Within just three days, the doctors at NIH confirmed that Jeff has a very rare disease called Progressive Supranuclear Palsy, or “PSP.” PSP is a progressively degenerative brain disease that has no cure. PSP is untreatable and aggressive. As we were told when we left NIH, the road ahead for Jeff will be difficult. Jeff’s mind is intact and he is fully aware of what is happening. However, the disease dramatically impacts his balance, ability to speak and ability to control his movements. At this point it is quite difficult for Jeff to speak on the phone or respond to texts or e-mails. However, he loves having notes and messages read to him, so please do send your thoughts along, and don’t be discouraged if you don’t hear back. The incredible support of our friends makes a hard road easier to navigate. For those interested in learning more about PSP, the best resource is http://curePSP.org. Bud Harner, Jeff’s manager, visited him in New York last week. Kirk Whalum and his wife Ruby, and many of Jeff’s other close friends have also made several trips to visit Jeff and his family. One of Jeff’s best buddies, Rick Braun, is in the studio compiling a CD of cool outtakes and other musical magic from Jeff, which is scheduled for release early next year. The royalties of which will be donated to the Golub family. 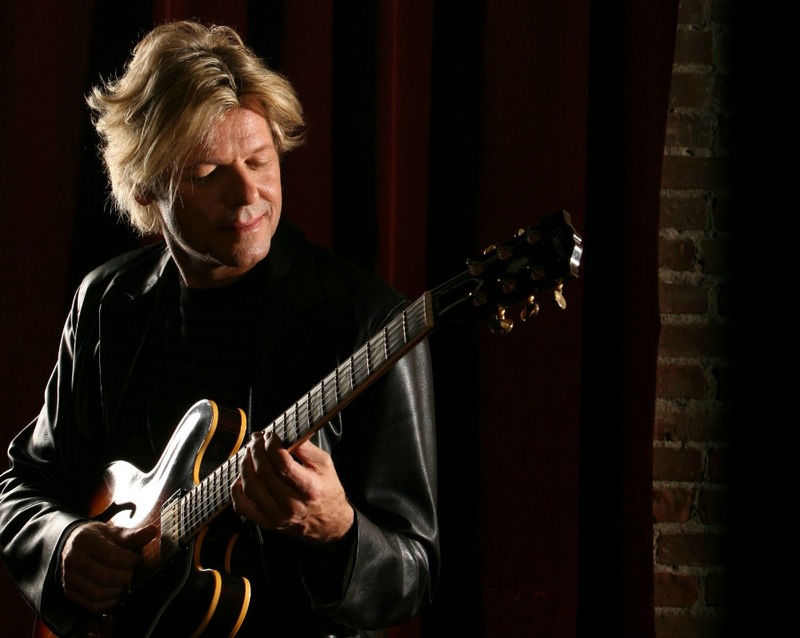 Meanwhile, if you would like to help Jeff and his family, please consider a contribution to The Jeff Golub Medical Expenses fund. They could certainly use our support now more than ever. Fans and friends can donate online at www.jeffgolub.com, or by sending a check or money order payable to “Jeff Golub Medical Expenses” to his manager, Bud Harner, at Chapman & Co. Management Inc., 14011 Ventura Blvd., #405, Sherman Oaks, CA 91423. Harner can be reached at 818-788-9577 or via email at bud@chapmanmanagement.com. 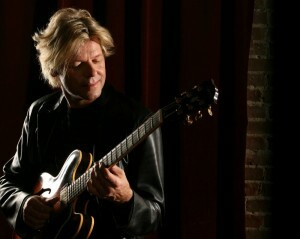 For more information on Golub, or to sign up for his newsletter, visit www.jeffgolub.com. This entry was posted in Jazz Buzz and tagged Jeff Golub on November 5, 2014 by Melanie. Jeff, I’m Chuck Kentis’s guitar player buddy from Cleveland. I am saddened to hear you are going thru this. I have always enjoyed your playing, but always admired the diversity you displayed playing guitar. You have a ‘voice’ in the guitar community, and that is a rare thing. I will eagerly await Rick Braun’s effort to bring your outtakes to the public. You have a wealth of recorded ‘knowledge’ that I can only hope future generations of guitar players will look to for inspiration. You and your family are in my thoughts and prayers. I regret that we lost touch these past 10 years. My loss. You are a genuine wonderful person. You’re a good man!! You have done wounders with your tallent and made a great life. Stay sharp, share love and find peace. I and a lot of others have you in our good thought. PS I’m with Roger … Boston Strong! Jeff, you may remember having some of my mom’s smooth jazz burritos back in the day Guitars & Saxes Tour, we want you to know that we are praying for a cure for your illness & my your days be as comfortable as possible for you. You have given us the gift of your music that will last “FOREVER” God Bless you & yours…..
Our prayers go out to you and your family in this time. We are great fans, supporters and admirers of you and your music and are here to support you. We will continue to pray for peace with you and your family.